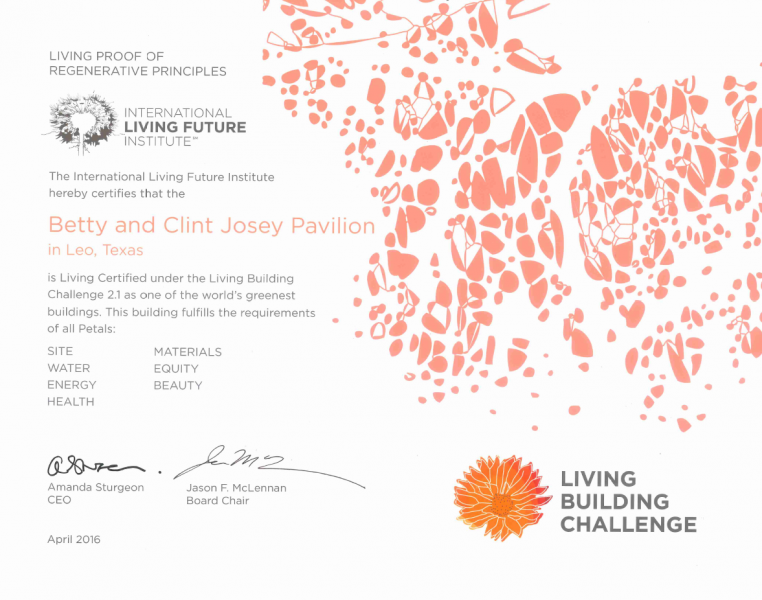 Lincoln Builders of Texas, Inc. proudly announces that the Betty and Clint Josey Pavilion, completed in the fall 2014, has been Living Certified by the International Living Future Institute (ILFI) as one of the world’s greenest buildings. 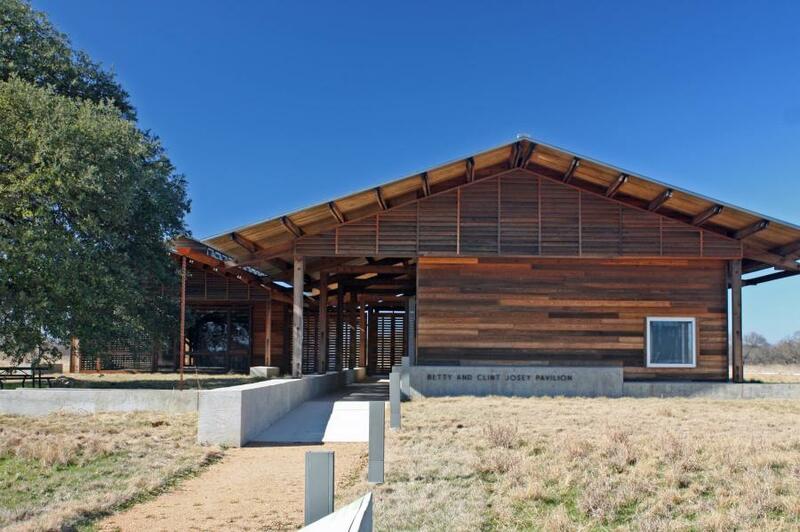 As the newest education center of the Dixon Water Foundation, the Josey Pavilion was designed by Lake|Flato Architects to subtly but deliberately connect visitors to the surrounding landscape of the Foundation’s ranch. The Dixon Water Foundation supports, promotes, and educates the public about water conservation in Texas through ecologically sound land management. The structure itself consists of two buildings of the same size connected by a shared gutter. 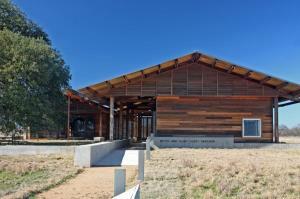 One building houses the herbarium, restrooms, and kitchen, and the other building houses an education pavilion. The two buildings form a central gathering space around a large heritage live oak tree and are situated to capture cooling summer breezes and block cold winter winds. Following the conservation ethics of the Foundation, Lincoln Builders’ project manager Wallace Rogan and superintendent Preston Sittig worked together with the project architect Tenna Florian, AIA, to source materials locally and treat waste as a resource. Through attention to the siting of the structure, its energy and water use, material selection, indoor environmental quality, and other metrics, the facility met the performance requirements to be the first certified Living Building in Texas. 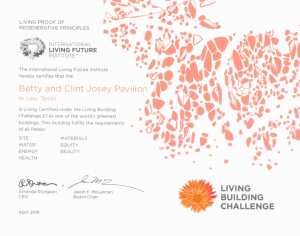 Learn more about the ILFI and Living Certified at http://living-future.org .